Boil your corn with honey to enhance texture and sweetness. 1 How Long Do Ears of Corn Take to Roast in a Campfire? Boiled fresh corn is at its best when the kernels burst with juicy sweetness as you sink in your teeth. In contrast, corn that is old, overcooked or cooked with salt is lackluster and chewy. Avoid these pitfalls by learning the right ways to select, store and boil corn on the cob. 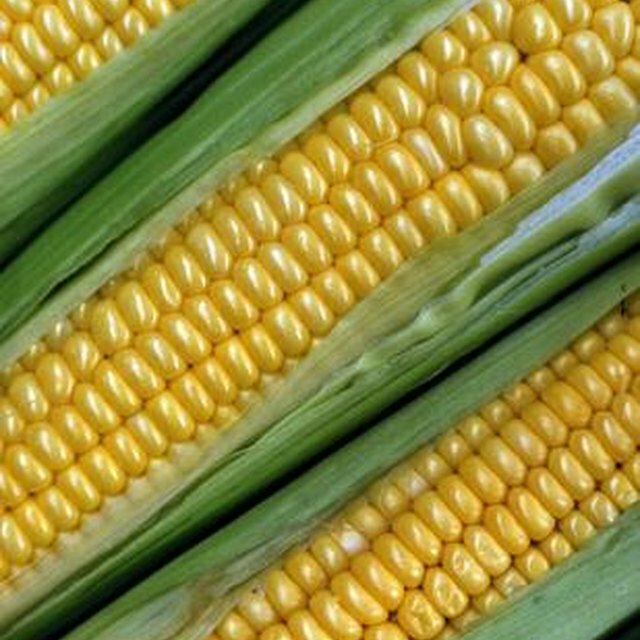 Buy the freshest corn you can find, with green husks and plump, shiny kernels. As soon as corn is picked, the kernels begin to gradually become dry and tough because the corn loses moisture and the sugars convert to starch. Cold temperatures slow this process, so store the corn in the refrigerator. Cooking corn in salted water makes it chewy and tough. Salt weakens the exterior of the kernels, causing them to rupture and shrivel. Instead, add a little honey to the water, which helps the kernels stay intact and also enhances the corn’s natural sweetness. Overcooked corn is chewy because heat gradually breaks down the corn’s cell walls, causing the kernels to lose their subtle crunch. 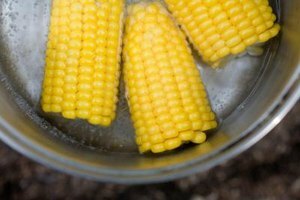 For best results, cook the corn in boiling water for just a few minutes, until the kernels are still crisp but easily pierced with a fork.